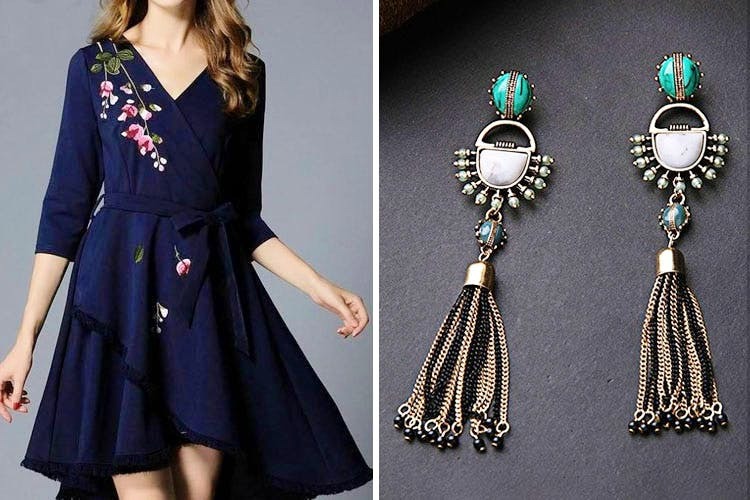 The Style Closet is an online brand that offers dresses, blouses and jewellery (both Indian and Western) that will help you ace that cool, Bangkok street-style look. While most of their stuff has a casual, cool-girl vibe, you'll also find stunning formal dresses. Going on a beach vacay? Make room in your suitcase for their long black beachy dress and the casual strap dresses. On the accessories front, The Style Closet's got a good mix of both heavy Indian jewellery, and minimal drop and hoop earrings for daily wear. You'll be able to pair them with most of your selection. We felt that their collection of jumpsuits was a bit limited. In case you're not a big fan of online shopping, you can also drop by this brand's Gurgaon studio for a trial. Make an appointment, though!